If you’re a local artist, musician or you’re just an all-round fan of music (let’s face it, who isn’t?! 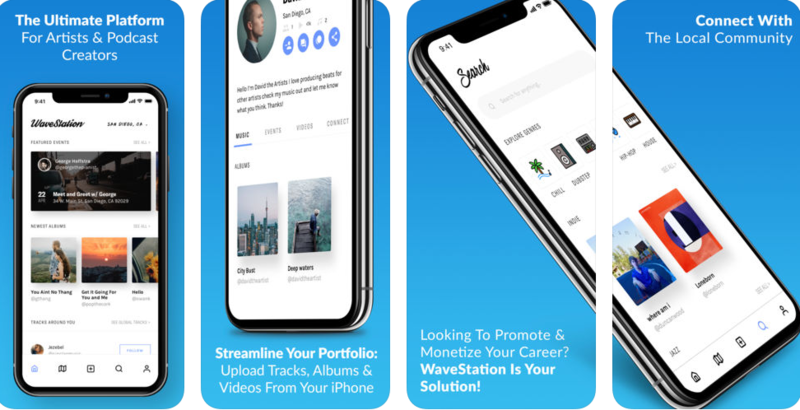 ), you should know about WaveStation – available to download now on the App Store. For users – that is, non-artists – it makes it super easy to discover music and events near you. Using an interactive map you’ll be able to see tracks, artists and events in your area. You can check out an artist’s profile to see what they’ve released in the past and get notified of what they release in the future. If an event sounds good, you can buy a ticket directly through the app. With 18 genres of music listed on the app, I’m sure it’ll have something for every music taste. For artists it’s a great way to generate exposure for your tracks, promote your events and get paid. On the subject of getting paid, the app says it’ll pay artists 3x more than their competitors Spotify, SoundCloud, Google Music and Apple Music – what’s more, artists can receive donations directly from fans using the platform’s own WaveToken. Uploading tracks and promoting events is easy – once you’ve done that, you’re literally on the map. Fans, followers and music hunters in the local area will be able to find your content and check it out. WaveStation represents a quality opportunity for bands and artists to build a strong foundation in their local area. For listeners, this is music discovery how it should be.